Practical, actionable information about the positive, behavioural approach to education is in desperately short supply, and yet when implemented properly the impact on school behaviour and achievement can be enormous. Positive Psychology for Teachers aims to address this gap. Written by experienced practitioners, it gives teachers simple and direct advice on how they can use the positive behavioural approach for the benefit of their pupils and schools. 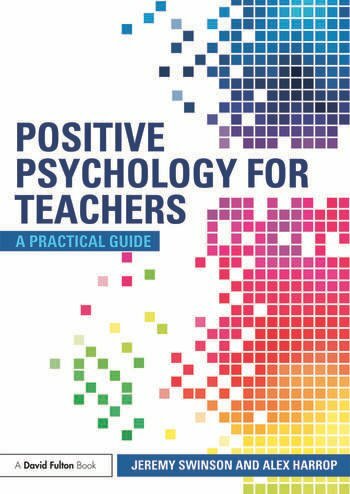 Based on the authors’ own experiences of intervention in school settings and evidence of its effectiveness, this practical guide includes a number of vignettes and case studies illustrating how the behavioural approach has been used by teachers in a wide variety of classrooms to make their teaching more effective. Each case study will be followed by a number of suggested practical activities for classroom implementation. Throughout the book, background theory is explained in a concise and easily digestible manner and activities are clearly explained with benefits and end goals clearly signposted. This practical user-friendly text is aimed directly at trainee and practising teachers but would also be very relevant to those working with trainee teachers in university departments and to educational psychologists. Jeremy Swinson is Principal Educational Psychologist for the Witherslack Group of Schools. Alex Harrop is Emeritus Professor in Psychology at Liverpool John Moores University, UK.